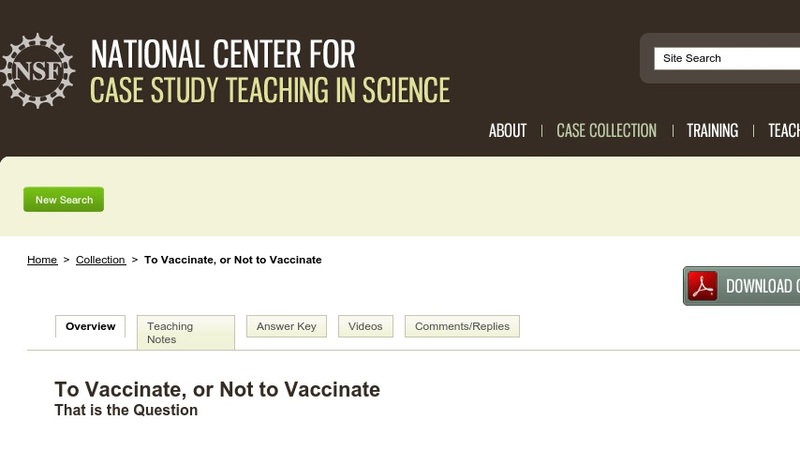 The case was prompted by a newspaper story about a couple who refused on religious grounds to have their son vaccinated even though vaccination is a requirement for admission to the public schools. It explores the issues surrounding the necessity and consequences of vaccination. The case is suitable for both non-majors and allied health biology courses.